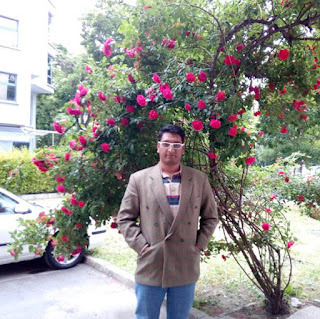 When you're enter into the world of technology, you will hear people saying that a laptop is the best devise cause of the many things you could do with it as well as they are ease to use. When the first laptop was released, the new technology took the world buy storm and it did dominate the entire market when it came to computing. This also happened when a tablet was released to the market. However, you have to admit that a tablet has several features as a laptop but with added portability. When we you ask people which is the best between these two, be assured that you will get different answers. Some will say a tablet is a new way to computing while others will say a laptop can never be replaced because of its functions. Due to these reason, we took some time to look at the advantages and disadvantages of each devise to let you know which gadget fits you better.Let's move onto the comparison part. As we all know, these devises are highly portable devises. Therefore, what are its advantages? They are highly portable cause, they have 7-10 inch display screen and weigh less than 1 pound. Means that they are not annoying to carry. Gives you full control of the screen, features and application.Tablets gives you full control of your screen, features and application. The reason for this being that everything is on your screen making it much easier and faster to perform your task. They are stylus. Having a tablet makes you look cool or sophisticated (learned). They are small compared to laptops. 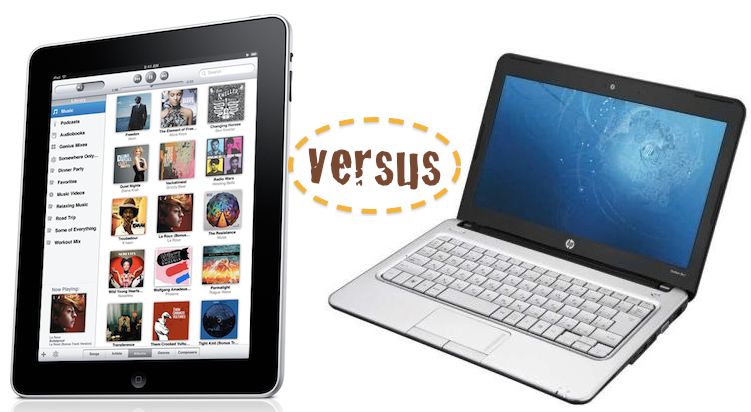 when you compare the size of laptops to tablets, you will see that tablets are small as well as less weight. This will give you the ability to carry it easily. They may have durable body but when it comes to the screen, they are delicate. If your screen gets damaged, your tablet may even become useless.Which is surely a big disadvantage of it. As we all know, there are many benefits of using a laptop. One of the best benefits is the hardware that comes with the product. Therefore, what are the advantages of a laptop? The benefit of laptops is the hardware that comes with it. Furthermore, when it comes to increasing hardware performance it is easy (like increasing the size of the processor or RAM). It comes with full keyboard and many people like using keyboards than touch screens. Even though there are some tablets that come with keypads, they are not in full like that of the laptop. They have large screens,which is a fact that everybody can see. Laptops have larger screens than tablets. Means that you can watch videos and photos better than using a tablet. laptops have higher screen resolution when you compare them with tablets. laptops have a longer life span than a tablet. Cause you don’t need to worry about scratching or damaging the touchscreen display. NOTE: Be sure that you are not confusing a laptop with a netbook. Bigger is not always the best choice. The disadvantage of a laptop is? All laptops weigh from 3-9 pounds. They tend to be annoying to carry them for a long distance. This is basic clear-cut review of tablets and laptops with their advantages and disadvantages.Now it's upto you which you'd like to choose.So,do share your thought with us through the below comment box.Stay with us for more such upcoming posts. 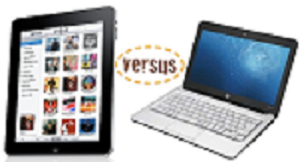 A very detailed review of both advantages and disadvantages of tablets and laptops. I am addicted to tablets in terms of being pretty compact but could not live without a laptop in terms of hardware perfection. I've asked the same question several times. I think if you have the budget, it is just good to have both to serve different purposes and convenience. I agree with your list of advantages and disadvantages between a tablet and laptop. On the other note, I think there will only be a disadvantage if the gadget doesn't meet their (users) needs.